Credit to SpitfireMad for the landing gear! 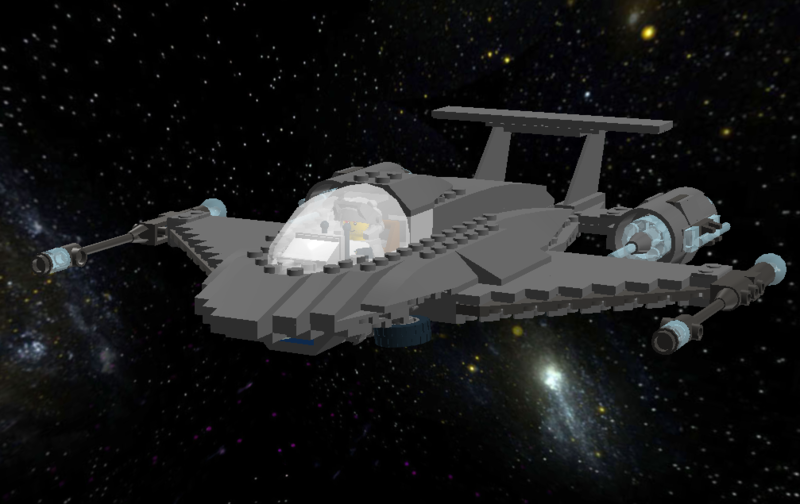 The Star Hawk is the basic light fighter of Star Force. With two phaser cannons, potent twin engines, and easy maneuvering, Hawks are usually supplied for new pilots to test their new wings in. Maximum speed is Warp 7. 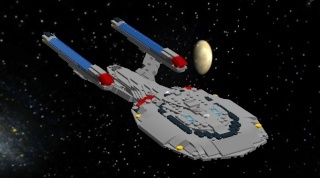 The more aggressive Interceptor variant can reach Warp 9. Wow.... As ugly as the HPC Star Force APC is, this is twice that much beautiful!!!!! I LOOOOOOOOOOOOOOOOOOOOOOOOVEIT!!!!! GGGGGRRRRRRREEEEEEEEEEEEEAAAAAAAAAAAAAAATTTTT work Talmid!!!!!!!!!! This is one of the best starfighters I have ever seen: period. It is a work of art. It's SO sleek and smooth and graceful!!!! It looks SOOOO fun to fly!!!! GREAT work!!! I'm looking forward to more like THIS!!!! O__o I don't get it. Why does everyone love the look of the Star Hawk? I think it looks boring. That's EXACTLY why we love it!!!! It's simple and sleek, not overdone. A lot of your work tends to have a bit too much in the way of weapons hanging off of it... this is so simple, but very well done, and there is beauty in that. Ohhhh.... so it's about weapons. Why does everyone hate weapons. I ahve no problem with weapons, but sometimes it's better to have more ammo (or power) for you existing weapons then to just have more weapons. I'ld rather have two rifles and a thousand rounds of .308 and 5.56 than a thousand rifles and two bullets each in a million different calibers. But it looks good! And different enough from your usual. That is logical thinking, and Star Force has a remedy to it. Our Star Fighters have the magical ability to turn on or off individual guns. Our pilots don't usually fire everything at the same time, but even when they do, it's only for short periods of time, as yes indeed, they do take up a lot of power. 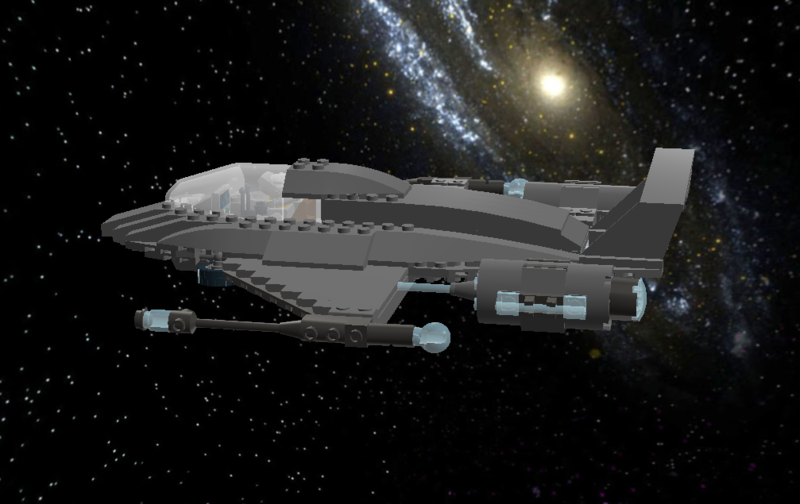 Maybe Star Force will reform its fleet later. I meant types of weapons, not types of fighters. Though also better to just have a few of each type of weapon and have plenty of power for each. But keep building fighters! Just a few more base designs would be nice. I would love to see you come out with a new base design or three, and then make an interceptor, bomber, Fighter/Attack, and etcetera out of them. But the P-38 is still one sweet fighter! There's so many jsut absoluetely awesome aircraft out of WWII that it sounds diminishing to say their all so sweet, but they really are! The P-38, the P-51, the Spitfire, the Mosquito, the Zeke, the Fockewulf-190, the Me-262 (probably my personal fave out of all, but it's all so close), the JU-88, Just so many!